Create a composition based on the following brief. You have been provided with two samples. Use both of these to develop a composition in any style. Both of the samples must appear at least once in their entirety in your composition. You must manipulate the samples using audio editing techniques, effects and processing. 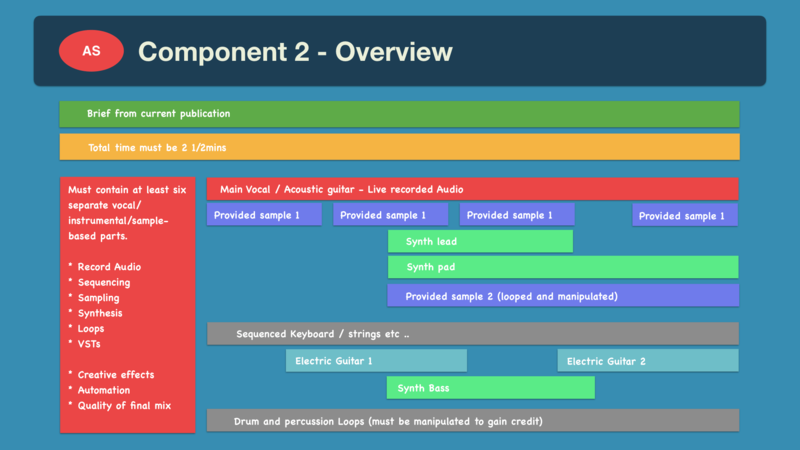 The technology-based composition must contain at least six parts. Any combination of vocal, instrumental and sample-based parts is acceptable. Samples and loops must be manipulated in order to gain credit. Your logbook must detail all of your original sound design: synthesis, sampling and creative effects. The source of any additional samples that you have used should be credited in your logbook. You must produce a high quality stereo recording of your technology-based composition that pays attention to all aspects of production – capture, balance, blend, EQ, dynamics, stereo field and effects. 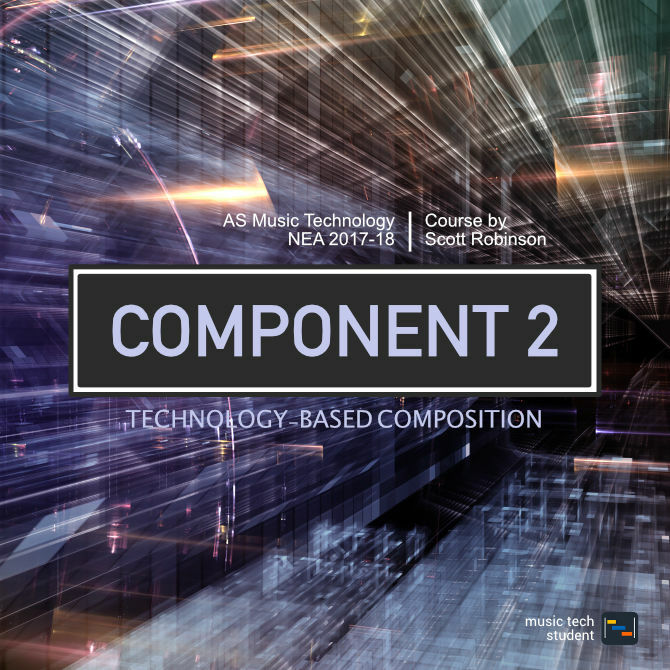 Your composition must be 2 1⁄2 minutes long.